Sintra Houses by Lendas de Sintra, a unique experience! Villa Maria and Casa da Capela, are two magnificent houses located in the Protected Area of Sintra-Cascais Natural Park, classified as a UNESCO World Heritage Site in the category of “Cultural Landscape” of Sintra. 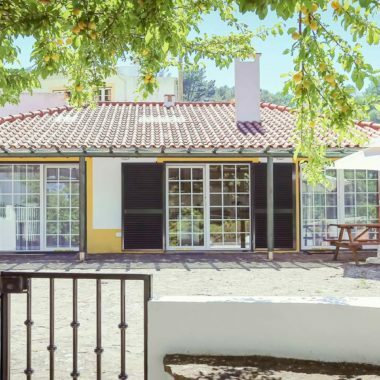 Villa Maria is a picturesque house retro / vintage, dating from the early 20th century and the Casa da Capela is a small cottage, situated in a traditional Sintra village named Eugaria, Portugal. 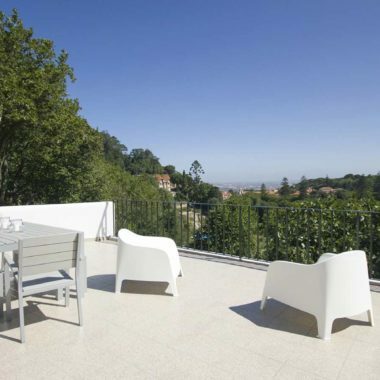 Comfort and eccentricity of Sintra waiting for you! Sintra is definitely one of the most beautiful and rare places that must meet, also considered as the most romantic place in Portugal. UNESCO declared Sintra World Heritage Site in 1995 in the category of Cultural Landscape. Attractions include fabulous palaces and gardens, lush forests, pristine beaches, landscapes breathtaking, among many other features that will awaken your passion for Sintra. Our lodging is in the heart of this heritage, in the village of Eugaria and in the village of São Pedro!